A CHEMICAL PEEL is one of the many processes we use to revitalize the face skin. In the chemical peel process we apply an acid solution to the skin. The outermost layers of the skin are dissolved and will peel off during the following days. You will experience a fresher look, exposing new skin cells. 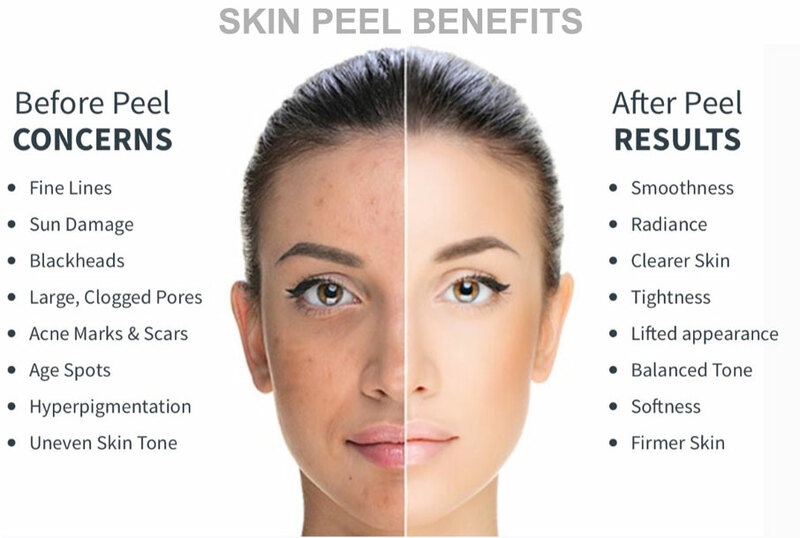 Slow aging process, repair sun damage, remove acne, remove mild scarring, improve skin brightness, and even skin tone, are just some of the advantages of Peels. Peels can be light, moderate or deep. Light peels require no down time from work and your normal activities. Moderate peels may require a day or two, and deep peels can require a week or more of down time to allow the skin to fully heal. Most skin colors and types can benefit from chemical peels, though it is best to check with your esthetician about which peel might be right for you. If you’re taking acne medication, Retin-A or Accutane, talk to your esthetician and/or doctor about stopping the medication before and during treatment to avoid complications. Your esthetician can review any other contraindications with you prior to your treatment to determine if a chemical peel is right for you. Be sure to get a thorough consultation prior to your peel. The skin is cleansed and a prep solution will be applied to remove surface oils and allow the peel to penetrate the skin evenly. Any sensitive areas that cannot be treated will be protected with a thin film of petroleum jelly. Your eyes will be covered to protect them. One or more chemical mixtures will be applied, such as glycolic acid (from sugar cane), trichloroacetic acid (similar to bleach), salicylic acid (wintergreen—good for acne), lactic acid (from milk), or a combination peel. The peel will be applied in 1–3 layers, depending on the depth of penetration intended. The acids react with the skin to produce a controlled wound, allowing fresh skin to regenerate and emerge. A tingling, burning or hot sensation is normal. Most peels remain on the skin only a few minutes, and are closely watched by the esthetician. A fan may help you stay more comfortable. After some peels, a neutralizing solution is applied to stop the peel. Other peels are self-timed and stop on their own. Our estheticians will recommend healing products to use for the week or two following your peel. These will soothe and nourish your skin, and aid in its recovery. Usually it is best to avoid makeup during this time, to allow the skin to heal and function without interference. 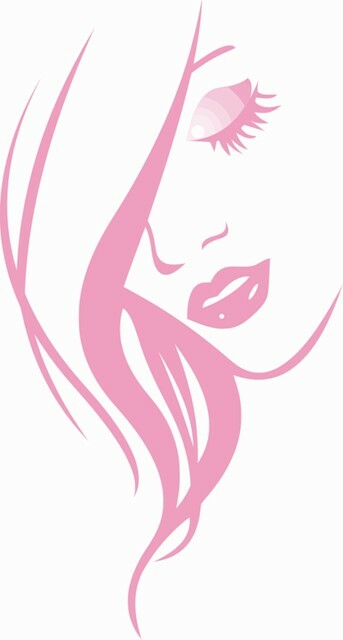 However, if you must wear makeup, mineral makeup will not adversely affect the skin.